According to Prof Tim Noakes; a low carb, high fat diet is an essential antidote to reverse the progression of insulin resistance and type 2 diabetes. Prof Noakes is a nutrition crusader who's own health journey has ignited his passion to challenge long-held beliefs tangled up in antiquated dietary guidelines. Today he joins us on FX Medicine to discuss the value and the science for why a low carb, high fat diet is crucial for insulin resistance and type 2 diabetes and how it can apply to competitive endurance athletes. Prof Noakes also discusses the dark side of being a pioneer in nutritional medicine, having been ostracised by his professional peers and faced with disciplinary action which he went on to win in a court battle that made international headlines. Prof Noakes makes some compelling arguments to cast doubt on some of the most accepted nutritional approaches in this outstanding interview. [26:15] Which fats should we be consuming? [37:27] What testing can we do? Andrew: This is FX Medicine, I'm Andrew Whitfield-Cook. Joining me on the line today all the way from Cape Town, South Africa is Professor Tim Noakes. Andrew: ...from the President of South Africa for his excellent contribution to the fields of sports and science of physical exercise. I could go on and on with the amount of work that you've done, the amount of papers you've written. You've got an H Index of 71. You're an award-winning author. I welcome you. We're going to talk about sports science, we're going to talk about sports medicine and low-carb, high-fat diets. 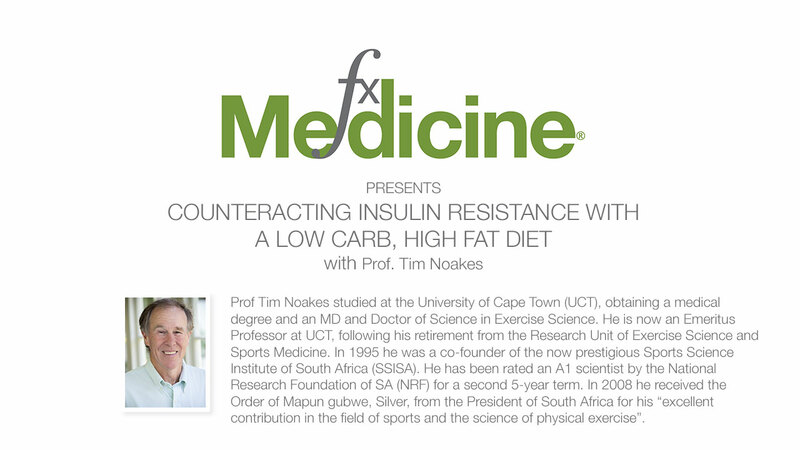 Welcome, Professor Tim Noakes to FX Medicine. How are you? Tim: Very well, thank you, Andrew. Privilege to be on your show. Thank you for hosting me. Andrew: It is our honour. I've got to say, when I was looking through a few of the books that you've written. One stuck out to me, Waterlogged: The Serious Problem of Overhydration in Endurance Sports. Can you first take our listeners on a little bit about this before we delve into our subject, please? Tim: Sure. I started running in 1969, ran my first marathon in 1972. And in those days, it was thought that if you drank during exercise, you were a weakling. And the rule...in fact, almost forbade any drinking during marathon running. And so, because I thought that was pretty wrong, we started a campaign to encourage drinking. And the campaign in South Africa was so successful, that by 1981, we have this comrade marathon, which is a 56 mile race. We had seconding stations, or drinking stations every mile. So it came from nothing to 56 aid stations, happened in a period of 9 years. The problem is that in 1981, in the very first race when we they had so much fluid available, a lady become unconscious during the race, and she almost died. She was unconscious for 4 days after the race and she wrote to me and asked what happened and I said “I have no idea”. By then we went and interviewed some other people who’d got the similar problem, and worked on it for about three years and published a paper saying that it was over-drinking that caused the problem. So this was the complete reverse. Because everyone had said, well “she’s obviously dehydrated, that’s why she’s unconscious.” And we were saying “no it’s because she’s overhydrated.” And then, we did some research, by 1991 we proved that over-hydration is much more likely to kill you than under hydration. In fact, there’s never been a death from under-hydration, that has been reported in the literature, that we’re aware of, in people running marathons. But there have been plenty of deaths. Andrew: Not even with causing rhabdo or anything? Tim: No, because it’s not related. I mean, rhabdomyolysis is caused by genetic disorder probably. And there’s something that activates it. But it’s not dehydration, that’s for sure. Tim: So we then started this campaign and it’s still being poo poo’d. The guidelines still do not warn against the dangers of over drinking during exercise and that’s because the sports drink industry came along. At the very time we were warning against overdrinking, the sports drink industry was taking off and saying, “well you must drink as much as possible.” They were interested in selling more product, we were interested in saving lives. Now, Waterlogged is the story of that battle. Which continues today, it’s still not been won. Andrew: So, just moving on from that. I mean, obviously you’ve challenged the status quo throughout your whole professional career. Can you take us through a little bit of your history? How you became a doctor in the first place and why? And where your healthy levels of skepticism for long-held beliefs, you know, nutritional guidelines, stem from? Tim: Yeah, I didn’t know what I wanted to do when I matriculated. I didn’t know what I wanted to do. Fortunately I went to America for a year as an exchange student there, and during that time Prof Christian Barnard performed the world’s first human heart transplant in Cape Town. And that stimulated me to want to study medicine. And so, I then chose to do medicine, but it soon became apparent to me that I was more interested in the science than in the medical care. I still cannot prescribe a drug, I don’t know how to prescribe any drugs… I managed to get through medicine because I had such and antithesis to the pharmacological model of disease, but I simply couldn’t prescribe any drugs. So, after I did my internship, I started to go into science, and I’ve been in science ever since. So I’m a trained doctor who’s much more interested in what causes disease than how you treat it. So that became my bias. Of course, I got into medical research in cardiology in 1976. In 1977 the U.S dietary guidelines came out telling us that we must cut fat, cut butter, eat lots of margarine, eat lots of polyunsaturated fats, and eat lots of cereals and grains. And so, I embraced this. Soon, without noticing that I put on weight on the diet, my running got worse. And after 33 years of following the advice, I got Type 2 Diabetes. So, besides the fact that I’d run all these marathons and been physically active. So I had a moment, a damascene moment, when I read Jeff Volek and Eric Westman’s book called the The New Atkins for the New You and that turned my life. Because within 20mins, oh sorry 2 hours of reading it, I said “Oh my gosh, I got it completely wrong.” And the advice I’d been giving to people to eat high carbohydrate diets, I could see were damaging. So that was my moment. And then, since then, for the last five or six years, I’ve been trying to promote a bit more balance in dietary advice. And particularly saying that, if you’re insulin resistant, you cannot eat a high carbohydrate diet. Because it will cause you to develop Type 2 Diabetes in the long term, probably cancer, perhaps dementia, certainly hypertension and obesity and Type 2 Diabetes. So that’s the way I got there and it’s been tough because I’ve been ostracized by my profession for making these claims. Andrew: Yes, but the funny thing is, like, for instance coming from Australia, you know, good old Aussie research, you know we followed those guidelines as well, you know, the high omega-6 polyunsaturated fatty acids – PUFAs. And they we’re totally undone with the Sydney Diet Heart Study. That called into question this advice. Andrew: From extremely good data, and yet, the guidelines changed? Nope. Tim: Well actually, you know, there is some suggestion that the guidelines have actually changed. It’s really funny, because there is a paper in the Journal of American Medical Association, written by David Ludwig, in which he describes it unnoticed to all of us, the 2015 guidelines put no limit on the amount of fat you can eat in your diet. Now when people then… he wrote that, and it’s published, I’ve quoted it. But when you actually phone the people who drew up the guidelines, whichever organization it is. They say, “No, no, no.” Then they give you this long story about actually we haven’t changed. Tim: So I’m not sure if the guidelines have changed, but if they don’t put a limit on fat intake, then all this whole story for the last 33 years that acknowledges it’s wrong. And we can just go back to eating like we did in the 1960’s. Andrew: And this is something that really interests me, you know like the old “like Grandma used to make”. Of course that was before multi-billion dollar food industries became the juggernauts that they are. But just speaking briefly about your ostracisation – if that is a word at all? By your brethren, you’ve indeed won a landmark case recently. Tim: That’s correct. So, I became active on Twitter about 4 years ago and didn’t have a clue what it was all about and started tweeting, and so a lot of people liked what I did, so they followed me. Then one mother, she did not ask for medical advice, this is a key part. She asked a question, she said “should mums and babies…”. And then I then responded to that. And then the dieticians took exception to what I said. They assumed I was telling mother’s not to breastfeed, which is not true. And they thought I was prescribing a ketogenic, zero carbohydrate diet, which of course, I wasn’t. Because they didn’t bother to read any of the stuff I’d written. And then this case went before the professional council to whom I’m answerable and they decided to prosecute me. Despite the fact that they broke all their rules, all their principles. And over a three year period we were in court 25 days. So for 25 days, over two years, this thing was debated. And we presented 12 days of testimony, including three expert witnesses from overseas. And in the end, we won on all points. There were ten decisions and we won all ten of them. So that was hopefully the end of that. Andrew: Yeah. So I have to ask, it’s more of a rhetorical question I guess, but...given that baby formula has only been in existence since what? 1966? When Wyeth, I think it was Tomarelli from the Wyeth Institute did the work with regards to casein and putting weight on babies. What did the eons of generations of humans before the 1960’s do, with regards to raising infants. How did they feed their infants? Tim: They fed them on bone marrow and liver and chewed meat. That’s if you go back 100,000...200,000 years. That’s what they would have ate. Andrew: How did we survive? Andrew: That’s right. So I guess in part, at least, we’re referring to the low carb, high fat diets, some know this as “Banting”, is that right? Now I’m not familiar with this. Tim: Yes, that was where the real trouble started. We wrote a book called The Real Meal Revolution. And it was published in November 2013, and it went viral in this country. It sold 250,000 copies, which is, for South Africa, is massive. I mean, you know it’s almost the top seller...one of the top sellers of all time. And it inspired so much change. For example, there’s a Banting Facebook page in Cape Town, which has 6,300, sorry 630,000 people. 630,000 people and it started 2 years ago. Now the major political parties do not have Facebook’s with that many people. Tim: So that’s how it went viral. And one of the problems was, I think the dieticians, they had suffered a little bit. Because people were reading the book, and following the advice and finding it worked for some...for many. And they figured that the advice they’d previously been given didn’t work, and here all they had to do was cook this delicious food and they got thin and they started curing their diabetes and obesity. So the original throwback against me came from the dieticians and I suspect it was that they were scared that their profession was at risk. 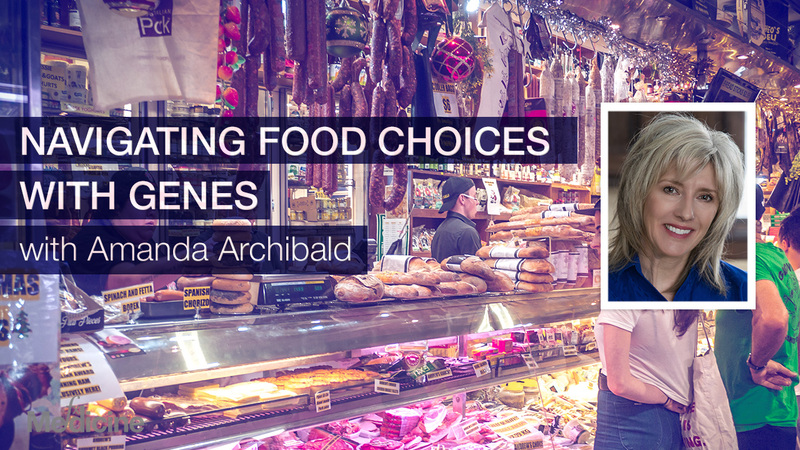 Because of the huge change in what South Africans were doing and the way they were approaching their food and whether or not they wanted to take the advice from Dieticians anymore. Now actually Atkins was a high fat diet, and he discovered in the 1970’s… he wanted to lose weight, and he decided the only way he could do that was to develop ketosis. Because he recognized that ketosis took your hunger away. And then he read that a low carbohydrate diet did that, and he experimented in himself. And he found that it was a low carbohydrate, high fat diet that worked for him. And in his books, he absolutely described that the key is how much fat is in the diet. Once you cut carbohydrates, by and large, you have to eat a high fat diet. It doesn’t mean that you’re eating fat all the time, it just means that because fat is so energy dense, if you eat protein-containing foods, animal produce, you generally will have a higher fat content, than of protein content. So the diet just becomes a higher fat diet. Tim: Well, I don’t believe that story. Because the Mediterranean diet is an even higher fat diet. The true Mediterranean diet is a high fat diet. And of course, it contains olive oil, but we don’t know whether it’s olive oil that’s been the healthy, or the high fat… the high cheese, the high dairy… the high other things. Tim: …and olive oil, and it’s not the true Mediterranean diet. Tim: Exactly, exactly. It’s what they’re saying, “Oh you can eat more fat, but it’s got to be healthy fat, it’s got to be olive oil, it can’t be dairy. It’s got to be olive oil, but you must still have your grains, cos they provide fibre...” For which, there’s absolutely no evidence. So the Mediterranean diet… and it works a little bit. And in fact, in the clinical trials, it is so ineffective, that you have to treat 60 people for one to benefit. Tim: So to me, and unfortunately that’s the published study, nobody ever recognises that, that the benefit was trivial. Tim: And then they conflate it, and they say “Oh but it’s a 30% reduction in heart attack risk.” But that’s called… a non-absolute, that’s a relative reduction. The absolute reduction was one in sixty people benefited. And that’s… it’s being mythologized as being proven to be beneficial. And of course its beneficial because you’re eating more fat. But why not go the whole hog and take a 60% or 70% fat diet and see what happens with that. Then you’ll see real benefits occurring. Not one in sixty people benefiting. But one in two benefiting. That’s what you’ll find. Because one in two of us is insulin resistant, and those are the people who are really going to benefit from this diet. Andrew: Gotcha. I got to say, I can’t wait for this podcast to be published. I’m going to put a call out to Dr Zeeshan Arain, in Australia. Dr Z, because he does a lot of high fat, low carb, and he’s a runner and the changes in his physique are just amazing over the time that he instituted the diet for himself. So let’s go on further, one of the things that you do with The Noakes Foundation is support research into low carb, high fat. Andrew: What evidence already exists, and what research are you currently doing, or looking to do in the future? Tim: Okay, I wrote a review with a colleague and it was published in the British Journal of Sports Medicine earlier this year on the low carb diets, and you know, are they beneficial. And it’s a review which has been downloaded 30,000 times. It’s one of the most downloaded articles. It was put on a medical website in America, became the most downloaded article there. Tim: And this gives a balanced view. And the balanced view is that, if you are insulin resistant and you cannot tolerate carbohydrates, you will develop all of the conditions that we talk about. Obesity, diabetes, hypertension, cancer – I suspect, and Alzheimer’s disease. I think they’re all related to this condition of insulin resistance. Our argument is that the most prevalent medical condition in the world is insulin resistance, but we don’t teach it at medical school. And Insulin resistance by itself is benign but it becomes toxic when you eat a high carbohydrate diet. So all we’re saying is if you have any of the manifestations of insulin resistance, you will do incredibly well by reducing you carbohydrate content. And if you have type 2 diabetes, we know now, and the preview is going to be out in a few months time, in December certainly. That the majority of type 2 diabetics, once they cut their carbohydrates to below 25grams a day, can reverse their condition. Without requiring continued insulin use. So that’s the evidence. The evidence is that carbohydrates have a special role in causing ill-health in people who are insulin resistant. And that is, turns out, the majority of us once we turn 50 or 60, most of us are insulin resistant. Tim: So that’s the argument. Now, we are funding research to look at what happens when you take diabetics and you put them on a high fat diet. Why do they reverse their type 2 diabetes? And we’re looking specifically at all the possible changes in the physiology, that could occur. And we’re particularly interested in what happens to the heart. Because many people say “Oh you can go on this diet, but your cholesterol goes up.” We want to know well does that put you at increased risk of heart attack? Does it cause arterial damage? So that’s the one question, the other question is we’re one of the few people who measure liver glucose production. And we have published a paper Journal of Physiology, last year, showing that we’ve measured it in healthy humans on the high fat diet. And that’s the key driver in diabetes. Once your liver glucose production is uncontrolled you have type 2 diabetes and one of the key questions is how do you reverse that? And we’re almost certain that that’s the key thing that will change. Your liver will suddenly become responsive to insulin and you wont over-secrete glucose and then, that produces the cascade of changes that make you re-normalise your diabetes. So that’s what our funding is going towards to research that. Just to make the point that we’re not trying to prove that diabetes is reversible, with type 2 diabetes, because those studies are being done in California. Tim: The first paper came out a few months ago. It’s from an organization called Vert to Health, and they showed glycated haemoglobin values coming down nicely within ten weeks of being on the diet. Lot of people cutting their insulin, or reducing or stopping their insulin, and many stopping medication. Those data are now at a year and a half, in other words, the trial has gone a year and a half and the one year data will be published in December and the results are spectacular. Now the reason why this is a spectacular study is because they’ve got 90% compliance with the diet. And that’s the key. A lot of the criticism of the low carbohydrate diet not working is because people don’t really comply. 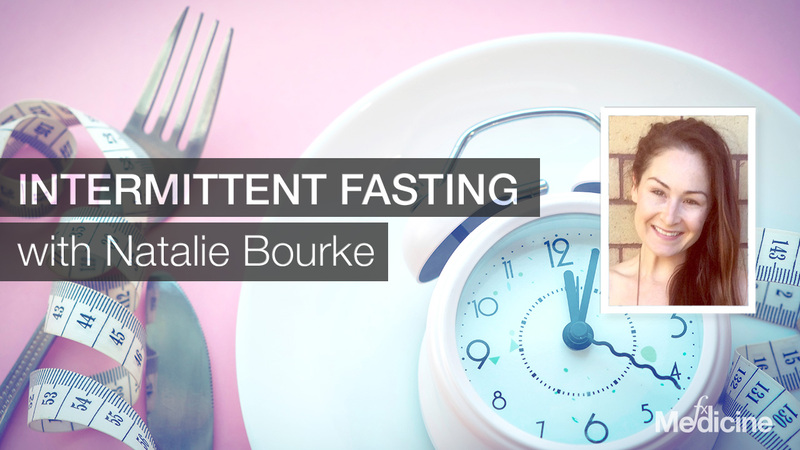 They eat a low carbohydrate diet for three months and then just before the trial ends at six months they’re back eating a high carbohydrate diet again. And what this study shows is, if you comply, you can reverse type 2 diabetes. Of course, it’s gone into remission, you’re not cured. You will just go straight back to type 2 diabetes if you increase your carbohydrate intake. Tim: And this is the strongest possible evidence that carbohydrates are driving the problem. And that we can’t continue, as the Australian Diabetes Association does, we can’t continue telling diabetics to eat high carbohydrate diets, for whatever reason. Tim: That’s not the right advice. Andrew: No, even reasonably orthodox, dare I say that word, nutritionists like Professor Jennie Brand Miller of the glycemic index fame states, that you know, the previous guidelines simply have not worked. So whatever your argument, whatever their, you know, belief of what the causation is, we know that whatever has gone before, has not worked. You know, we need to change. I’ve got twenty questions going on from what you’ve just spoken about now. So I think the first one is, please settle this in my mind, because I’m rather confused about it. Looking at the work from Jeff Leach when he went to live with the Hadza tribe and he was looking at manipulating the microbiota. Diversifying his own western microbiota to that of the Hadza tribe, who move with the herds, they don’t have a home, if you like, they move along the plains with the food. But it’s said, that depending on the season they eat a massive amount of carbohydrate, indeed a massive amount of even fructose. They eat honey, up to 30% of their intake. Yet they have almost non-existent diabetes. How do you ratify that sort of finding with our convenient lifestyle, western… where for instance, I’ve been sitting down all day doing podcasts. Andrew: Is that the issue, that we need to move more? Tim: Mmmm, No I’m not sure about moving. You can’t outrun a bad diet. I think it’s the whole culture. But firstly, they’re insulin sensitive, that’s one of the keys. And we become insulin resistant because we’re born to mother’s who are diabetic or eat a high carbohydrate diet. So the whole epigenetic effect, and then we’re weaned onto high carbohydrate diets. And highly refined carbohydrate diets. Which those people aren’t. And that’s the first point. Is it’s.. our insulin resistance gets worse with age and the more carbohydrates you’re eating, the more happens. So, you know, take a simple example, mother’s become insulin resistant during pregnancy and for very good reason. The neonate, the infant, is insulin resistant, for very good reason. It needs to store fat so it could build a brain. But if you sustain the insulin resistance you get type 2 diabetes in the long term. 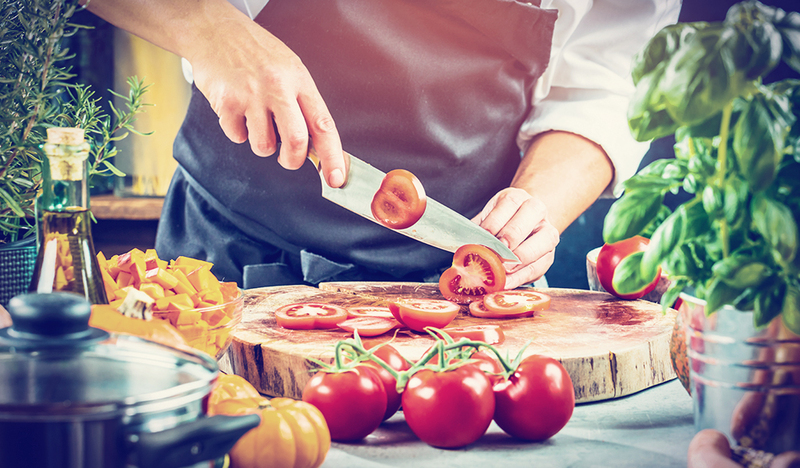 What you have to do is get rid of the high carbohydrate diet, the insulin resistance reverses and that person will have a normal, healthy life expectancy. So the Hadza, they may well eat a high carbohydrate diet, but there are periods where they don’t. And that’s when their insulin resistance will return back to normal. That’s point one and point two is they don’t have an excess of calories. And number three, they don’t eat much, well they have fructose, but well, most of the time they’re not eating sugar and they’re also not eating vegetable oils. So those are the components we think. Tim: It doesn’t mean… people can’t eat carbohydrates if you’re insulin sensitive. But, our problem is, we, fewer, and fewer, and fewer of us are carbohydrate sensitive. By and large we’re insulin resistant populations now. Andrew: So, you’re talking about the OB gene and the DB genes, is that what we’re talking about here? Tim: It may or may not be. I think the genes for diabetes are probably well described, or they should be. And the more of those you have, the more insulin resistant you are. The OB gene, I think, acts more in the appetite control centres in the brain. And that’s the other point, that’s the appestat. And we are exposed to these addictive carbohydrates and addictive sugars, and that causes a long term problem for us. So we become addicted to food, we eat every three hours and our biology is simply not designed for that. We are not… we are designed to eat fat and metabolise it and burn it. That’s how we’re designed. We’re not designed to be eating high carbohydrates and burning the carbohydrate all the time. That is not our evolutionary background. We can’t cope, and the evidence is this diabetes, obesity outbreak. Andrew: Yep. Now, you know, we’ve spoken about high fat, obviously fat is not one entity. Despite what some people tend to lump food groups into. Like you know, protein’s all the same and fats are all the same and carbs are all the same. So when you’ve got high fats, we’ve spoken about polyunsaturated fats, what about the other sorts of fats? What fats should we be consuming? Tim: I think that most people don’t understand that every single fat contains mono, poly… and mono and polyunsaturated fats and saturated fats. They’re all three in different combinations. And for example, an avocado, which is considered to be healthy, has more saturated fat than many fats from animals. But you’re never told that you see. So, because the biases that meat is bad, and animal produce is bad because it contains saturated fat. But saturated fat is present in all fats that we eat, in all animals and from other vegetable sources. And I’m not sure that we know… I think there’s some evidence monounsaturated fats are healthy. We know we need our omega-3 fatty acids from fish and that’s all I can say. I don’t know that eating saturated fat… in other words, the food that really provide a lot of saturated fat is a lot of dairy. There’s a paper out this week and it is, admittedly, funded by the dairy board, but there’s a meta-analysis showing that dairy has never been shown to really increase the risk of heart disease. So I can’t say that eating saturated fat is worse for you than eating monounsaturated fats. But I do think, I would look to the omega-3 fats from fish. I think fish has a special role. It may well be that monounsaturated fats are also healthy. 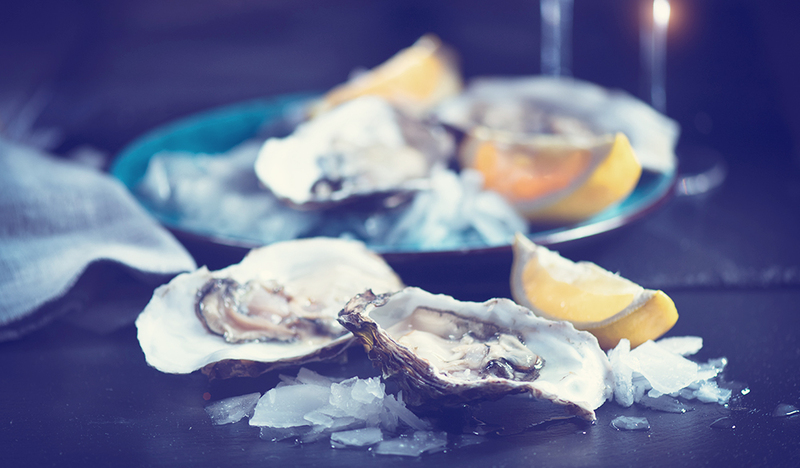 And that you just need to balance your saturated fats up with more of those other fats from fish, and from avocados and from some other vegetable sources. So what do you get, when you have, you know, farmers under such pressure to provide the actual meat for our tables. And yet so now they’re under that pressure with regards to, you know, dry climates, to then provide corn for them, or hay from them. So, how do we address this sort of issue? Where do you say to get your foods? Tim: I can only speak for cattle, because I understand that cattle are not designed to eat maize. And they die from it, that’s why you have to kill them at a particular age. Because they’re designed to digest grass. And so, they must be grass-fed. You know, I haven’t involved myself with that too much to date. All I do is tell people, try to get grass-fed animals, that’s the key. They must be eating what they’re designed to eat. And we need to have a movement that provides that type of food. The reality is that we cannot provide these populations that we have on earth with continuing to increase grain production. Because that’s just as unsustainable as trying to provide meat for everyone. Tim: So, there is going to be some problems sooner or later and I don’t know how it’s going to be resolved. But my problem as a biologist is just to explain to people what they should be eating on the basis of our biology and our history. Andrew: Yeah, going into that biology and history. You’ve published a book called The Lore of Running and that’s to do with our topic today, athletes and sports medicine. What are the benefits here and what can we learn from that book “The Lore of Running”. Tim: Well, I wrote The Lore of Running, the last edition in 2002 and it needs a revision because it’s highly carbohydrate driven. Tim: And when I wrote it, the teaching in sports science was that there was only one fact that determined athletic performance and that’s how much carbohydrate you ate in the 36 hours before your event. Tim: And of course, that’s nonsensical. But that was driven by industry. And we didn’t realise it, and I was part of that problem. And so, that book is a problem because it tries to reduce all athletic performance to one variable. Well of course, you can’t do that. There are many variables that determine performance. And the most important is the grain. So the revision that I will be writing, will focus on the brain, and rather their nutrition as the determinate of athletic performance. And it’s really interesting, you know, because I was just watching and reading about this two hour marathon event last week. And the physiologists were advising these Kenyan and Ethiopian runners. They were talking about physiology, no one talked about psychology, no one talked about the brain. They were all on about how you’re going to keep your oxygen costs down and how you’re going to keep your glucose levels high. So it’s flawed that model they’ve got that it’s all dependent on physiology. But that’s not true. It’s the psychology, and the mental approach that really determines performance. So the new book will be on that. But my point is that I didn’t.. there’s not enough discussion of the benefits of eating high fat diets in that book. And that’s what the revision has to show. Tim: In a sense, the book is written for elite athletes to two hour marathon – sorry, the nutrition section is written for elite two hour marathon runners, or guys running a mile in three minutes, whatever, for 50 seconds or something. It’s not for the average runner. Because the average runner struggles because their insulin resistant and their trying to eat a high carbohydrate diet, and it doesn’t work for them. And they benefit hugely by cutting the carbohydrates and eating much more fat. Andrew: So with regards to preparation for somebody, you know, the typical weekend warrior let’s say, who wants to start up running, like, really getting into it. What sort of time period, what sort of phase in period do you suggest for changing their diet to a high fat, low carb diet and then getting the benefits of their running technique, I guess? Tim: Well, I’d definitely take 6-12 weeks to start to adapt properly to the diet. And I’ve just been in touch with a friend who I converted and he had a fabulous… he reduced his iron man time by 4mins to 8 hours. He was an 8 hour iron man triathlete. He converted from the diet 18 weeks ago, and then came 4th in an international competition here. Tim: Improving his time, running at 2:47 marathon at the finish. And he said it took him 12 weeks to adapt. For the first 12 weeks he was going nowhere and then suddenly, he adapted. Tim: And a lot of the studies we have, the science, it’s like 3 weeks or 4 weeks adaptation, it’s far too short. So I think that people that people would really only start to show the real benefits 6-12 weeks. So if you’re going to change, you have to understand that you can’t change within 3 or 4 months of a major race. Andrew: Yeah. I have to go back to something you mentioned earlier, and that was the compliance issue with a high fat, low carb diet. And you know, it seems to be a real issue. How do you overcome that, how do you get people to stick to this diet and make it a part of their life? Tim: Yeah, the compliance is everything. Because… I haven’t seen the data but, there’s someone that reported to me they’re doing studies of ketone diets and using ketone bodies as well. And they allowed a group to cheat. They had one group who were 100% compliant, and the other group were allowed to cheat with two days per week on the low carbohydrate, more ketogenic diet. So it was even lower carbohydrate diet. And the people who cheated didn’t get the same benefits and the reason was quite simple because they went out of ketosis for two days, and it stayed on for another two days. So they had four days of the week, they were actually on the high carbohydrate.. as if they were eating carbohydrates. Even though they were only eating carbohydrates two days a week. And so they were only getting three days benefit per week. And that’s the problem that if you do eat carbohydrates, you reverse the metabolism back for 24 hours, 48 hours, and so you lose any potential benefit. I must say that I’ve advised quite a lot of Australian athletes, including David Pocock, your brilliant flanker for the Wallabies. And he converted to the low carb diet but he’s says that for a big game, and training hard, he needs 150-200 grams of carbs on the night before, or the morning of the match, the international game. So, but as soon as the game is over he goes back to full on low carb diet. And I think that’s probably the way to do it if you’re involved in explosive sport like he is. But we normally say that you can’t do explosive sport on this diet, but it’s clear that you can. But if you’re going to do events that are three of four hours, you might as well just burn fat. Because that will give you all the energy you need. You won’t have to worry about carbs. Andrew: What about the supposed time-lag of access to fat as an energy source, do you agree with that, or not? Tim: No, that’s a great question, because we’ve actually studied that and published the work in the Journal of Physiology. And I couldn’t believe it. Because we were taught, traditionally, that you have to get your fatty acid levels high, before you burn fat. And we knew it took time to get your fatty acid levels high, because they’ve got to be released from the fat tissue. What we showed in this study was, the moment people started exercising on a high fat diet… so these are people that had adapted for 6months. The instant they started exercise, they were burning fat at 1 – 1.2 grams per minute, which is huge. The average athlete who is eating a high carbohydrate diet would start at 0.3 – 0.5 grams per minute. So these people started right immediately, at a very high rate of fat oxidation. It doesn’t take time to get in, to start. It’s there the moment you start exercise. Andrew: Okay. So then, the reverse, when you’re talking about, forgive me, I can’t remember the footballers name, who started to have the carb-load just on the day of the event? Andrew: David Pocock. So, how quickly would you fall out of ketosis, and for what period after that. Tim: Okay, because he exercises so hard during the match, he will burn all his glycogen stores in his liver and his muscles. Andrew: Right, so he’s doing it more..
Tim: And he’ll go straight back into ketosis the moment he finishes a game. He’ll already be ketotic again. Tim: But at a low level, and then he won’t eat carbohydrates, so he’ll be ketotic for the rest of the day. Andrew: Gotcha. And so, that would be… as long as you’re doing enough energy expenditure on the day, burning up those carbs, then you won’t fall out of ketosis, you’ll remain in ketosis and just you flow on from when you regain the diet? Tim: That’s correct, that’s correct. The problem is if you eat lots of carbs and you’re not doing exercise, the rigorous exercise. Andrew: Okay, so let’s talk a little bit about testing. How would a runner decide, how would they discover if they are insulin resistant. I remember speaking to Prof Robert Lustig about even, you know, the gold-standard test which we talk about Hba1c. And he’s saying well “that’s only looking at haemoglobin at the 1C level.” There’s glycogen residues at the lys.. sorry, lysine residues at the, what was it? 65 and 110 points, that we’re not measuring. And yet they’re an indication of glycemic issues. So he’s saying the problem we haven’t got access to this unless you’re a researcher. So, how do you know if you’ve actually got good glycemic control, or poor glycemic control. Tim: Yeah I think Robert’s wanting to be a perfectionist. The answer is Hba1c is all you really need. Tim: Because as he would tell you this is a progressive condition. The insulin resistance doesn’t develop overnight. It develops over 20, 30, 40 years. And so I tell people, measure your Hba1c, and if it’s elevated, you already have a problem, but it’s a manageable problem. So we would like to see everyone with a Hba1c below five. But that’s not going to happen. Because so many people already got damaged carbohydrate metabolism. But a value of five is still astonishing. You’ll be very healthy with a value of five. Tim: But let’s say you have a value of 5 at 30, but at 40 it’s 5.6. You are just heading for diabetes. You have to now cut the carbs. And you could cut the carbs at a value of 5.6, you will get back the 5 if you cut the carbs. So all you’re showing is that you have got insulin resistance. Your carbohydrate metabolism has been abnormal for a period of years, maybe a decade. But as far as we know, as long as you get it back down to 5.5 or below you’re probably going to be fine. So, he’s quite right, once your Hba1c starts to rise, you’ve already got damage. But that doesn’t matter as far as we know. You can reverse that, as long as you don’t eat carbohydrates from then on. Tim: But what we’re doing, is we’re saying, the patient comes in who’s got a value of 6.4? But you’re not diabetic because you haven’t got a value of 6.5, and you’ve got no glucose in your urine. So you’re not diabetic. You are diabetic. It’s just a matter of time. So why not cut the carbs and get your Hba1c down below 5.5. And all you have to do is cut the carbs. So Robert’s of course, correct. But, in a practical way, if we were dealing with communities, the Hba1c is a fabulous tool and we just don’t use it properly. Andrew: What about other tests, not just in runners, but also other patients with insulin resistance, or suspected insulin resistance even. That, for instance, looking at fasting insulin levels, looking at the U glycemic clamp, obviously that’s more research-based. That’s a bit more in-depth. But something as simple as looking at fasting insulin levels and maybe checking for C protein, C peptide. C peptide. Tim: Yeah, absolutely. C peptide, yeah, that’s the key. But fasting insulin is absolutely correct, and your value needs to be below about 4 or 5. And I was just checking a paper recently, that teenagers in America have values of 12. They have fasting insulins of 12. My argument would be, that 12, that fasting insulin of 12, is not right. It’s dangerous, but you’re still not frankly in trouble. Tim: It’s once the Hba1c starts to rise, that’s your next phase. So phase 1 of the disease is your insulin goes up. Phase 2 is the Hba1c goes up and phase 3 is Hba1c goes way up and you’re passing glucose in your urine. So we could get people at phase 1 if we measured insulin resistance, sorry, if we measured fasting insulin. Tim: And say, in phase 2 we would pick them up with Hba1c. But we, as doctors, look at phase 3, when they pass glucose into the urine. Tim: And that’s far too late. Andrew: Well, yeah, they’re in the black box then aren’t they? What about accessory, weird symptoms. Non-specific symptoms like for instance, tendon pain. Do you ever use this as a key to what’s happening? Tim: Yeah, I think that that’s true and Jill Cook, who is an Australian researcher was the first to show that insulin resistance may present as Giddies tendonitis, or other conditions. And I had acute tendonitis for a long time and it was only when I started to manage my diabetes that it went away properly. Tim: So, she’s quite right. Now, the other one now of course, is putting on weight progressively. Falling asleep at inappropriate times and anger. And not being able to explain why you’re suddenly having these anger bursts, outbursts. So those are all other features of developing diabetes. Andrew: And here’s me, I just thought it was just a mid-life crisis and I needed a flash car. Andrew: So, I have to ask, what does a typical week on a low carb, high fat diet, look like? Like, I guess in my mind, you know, I have a hard time getting away from lots of vegies, and lovely tomatoes and things like that. How do you incorporate that, that healthy polyphenol, high polyphenol diet. Enough fibre to prevent constipation and look after your bowel so that you don’t get bowel cancer. How do you ratify this with a high fat, low carb diet? Tim: Well, if you look at our book The Real Meal Revolution you’ll see, we have a lot of vegetables in it. It’s not a low vegetable diet. In fact, there’s more fibre in this diet than in a conventional diet. So avocados, for example, are full of fibre. Coconut, for some reason, is the best laxative you will ever eat in your life. And you know, to me, fibre is not the explanation for why people get constipation, or lack of fibre. It’s other factors. And in fact, there are good studies showing that to get people to remove their constipation, you cut the fibre. So the theory about fibre is all wrong. And in no clinical trials, ever, showing that fibre prevents colon cancer. 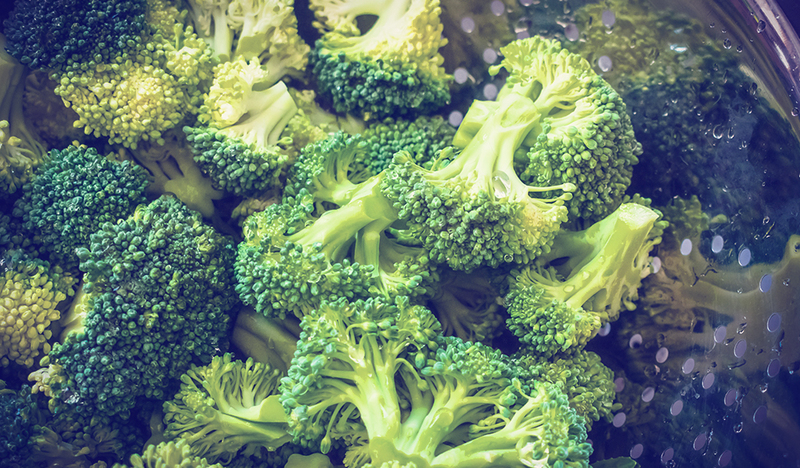 Vegetarians, for example, have the same rates of colon cancer, as everyone else. But those are associational studies, and they’re not… we don’t put too much store on them. But in clinical trials, they’ve never shown that fibre makes any difference to the presence of colon cancer. Andrew: Not even resistant fibres? Andrew: Not even resistant fibres, resistant starches? Tim: No. There’ve been clinical trials reported in the New England Journal of Medicine. And they made no difference. Tim: They looked at cancers in situ, and they found no difference. But that’s never reported because it’s so wrong. Andrew: What do you say then to the point that people make about humans being to only animal on earth that don’t wean. That we still continue to drink milk beyond our weaning stage. And putting that into the case, I guess, seeing as we were talking about it, colon cancer prevention. Where I do believe there is some association with milk reducing colon cancer, is that right? Tim: Yeah, there’s a group in America who look at breastmilk, and its clearly, it’s got some other special components. And one of the things it does is produce a different microbiome in children who are fed breastmilk versus standard milk. And I think there’s something in that. That breastmilk is very special. And the problem is why we have downgraded breastmilk, is because it contains saturated fat. So the Australian Dietary Guidelines are really interesting. They tell you that up to the age of 2, you might feed your child saturated fat. And then all of a sudden when it’s 2 years and 1 day, you must stop eating saturated fat, because it’s going to get a heart attack. Tim: It’s ridiculous. There’s a complete.. because they’ve got the wrong paradigm. That fat causes heart disease. We cut out fat at 2 years and 1 day. Whereas before 2 years we realise that fat is critically important in the diet. And the saturate fat, the breastmilk, is full of saturated fat. But, let me just take it a little bit further. Tim: The beef that we eat, where do they get their protein from? Because grass doesn’t have any protein in it. Andrew: Yeah, we’re not ruminants, yeah. Tim: And they eat cellulose and they convert it to saturated fat. And that’s the key. And so, we learned, it’s much easier to kill these animals, eat the fat, rather than have to carry around this huge gut, to convert a nutrient poor food, nutrient poor grass, or whatever and vegetables, convert that, into something we can use, as a saturated fat. Tim: And that’s when we became human. So the move to tell us we have to eat lots of vegetables, there is no scientific basis for that, whatsoever. It’s again, a marketing myth. Tim: I know Pete well. Andrew: Okay, who knows Loren. Asked us, when we engaged Loren Cordain to speak at our Symposium. Asked us, if he could make the recipes for the meals, along the paleo guidelines. And when we go out to lunch, there’s all of this beautiful long tables of, I wont say nothing but, heavily, heavily weighted towards vegetable matter. It was a vegetarians’ paradise. Andrew: And yes then, there was the meat. Andrew: So, why are we getting this so wrong. Why are there still people saying, forgive me, why are there still people saying… I remember one title, you know the Paleo diet advocates your ancestors, , or your microbes aren’t really that in to you. Saying that we need to eat more plant food. But we say of course, that’s what a Paleo diet did, they had to catch the animal. Tim: You know, I think we’ve still got to get through this one. But vegetables really were only started becoming popular 12,000 years ago, with cereals and grains. And so they’re also a recent development, and we lived for a long time without the modern vegetables and the modern cereals and grains. And we were very healthy. So I have little bit of a problem. If people want to eat a lot of vegetables, that’s fine. And if they can cope with it, that’s fine. But the evidence that they are critical for our health is simply not there in my opinion. Tim: It’s all associational studies. And these associational studies are based on the fact that 40 years ago people were told to eat cereals and grains and vegetables, and to avoid meat. And the healthiest people ran their marathons, like I did. And they didn’t smoke, they did everything else right. They didn’t indulge in alcohol. They were married, they were high socio-economic class, they had everything going for them. And 40 years later, we found, my gosh, the people who didn’t eat meat, and at lots of cereals and lots of vegetables live longer. But you don’t know if they just happen to be genetically better and they had all these other factors going for them. You can’t just isolate it to the diet, as people are trying to do. And that’s the problem, with the associational studies. My only problem with the Paleo diet is that if you’re insulin resistant, it’s too much carbohydrate. Tim: That’s the key. So, I think the Paleo diet is really good, for the majority of people. If you were raised on that diet from a young age, and you didn’t eat sugar and you didn’t eat refined carbohydrates, and you didn’t eat cereals and grains. And you had lots of vegetables, and you could have some fruit. That would be fine. Because you wouldn’t develop insulin resistance. But in my case where I’m already type 2 diabetic and I’m profoundly insulin resistant, the Paleo diet will never work because it’s got far too much carbohydrate. And that’s the only distinction between the two diets, I think. Andrew: Gotcha. So, advice or recourses for athletes particularly, I guess, and also practitioners who are going to be listening to FX Medicine. Who might not be across how to institute the low carb, high fat diet. What do you suggest? Tim: Yeah. There’s a huge bit of evidence, or lots of evidence on the internet, of course. I would suggest that the one article that you can download from the British Journal of Sports Medicine is our article, extremely downloadable. Explains how the biology of the diet, why it works. And that’s an article I wrote and Dr Windt – W-I-N-D-T. So anyone that types in Noakes, Windt, British Journal of Sports Medicine. That article will come up and they can download it, print it out, for free. Andrew: Done. We’ll put that up on FX Medicine. Tim: That would be a good start to explain the biology of the diet, and the benefits. And why it has unique benefits for people with insulin resistance. Our book, Real Meal Revolution is available on Amazon and that gives you incredibly good recipes, and some of the science as well. The recipes are just amazing. And that’s good for how you prepare foods, and what the foods should contain. For athletes, I think the best writer is Jeff Volek. And he’s written The Art and Science of Low Carbohydrate Performance. That’s probably the best book for the athlete who wants to seriously get involved with this diet. So it’s Jeff Volek, The Art and Science of Low Carbohydrate Performance. Tim: Once you get into those books, you’ll see there’s incredible resources on the internet. One of the best websites is DietDoctor.com. Dietdoc.com. But anyway, you’ll find it. The guy’s name is Andreas Eenfeldt. E-E-N-F-E-L-D-T. That’s probably the best website for low carbs, he covers everything. Andrew: Unreal. And of course, there’s your TED Talks. Tim: Yeah, there’s a couple of my talks. And the one I gave in Melbourne actually, that’s very popular. I think it’s close to 200,000 people have watched it now. And that was the Low Carb Diet. So anything you can type in for YouTube for Tim Noakes videos. Andrew: I can’t thank you enough for taking us though… obviously you have been upsetting the apple cart, challenging the status quo for many years. And you will continue to do so. And I can’t thank you enough for me, and for FX Medicine listeners, for natural health practitioners around the world wanting to sort of, wake people up about the irreverent, irrelevant dietary guidelines, and where we should be changing them for our patients and indeed, the athletes that are listening as well. Thank you so much for joining us on FX Medicine today. Tim: My pleasure Andrew, thank you for having me. 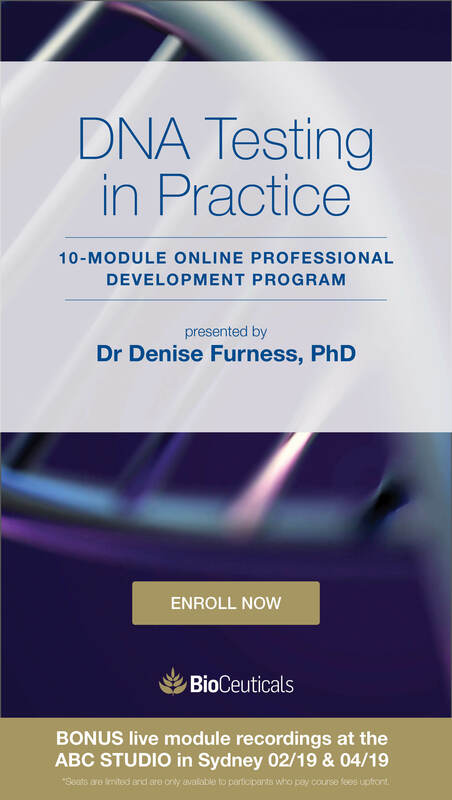 And I hope that your audience will appreciate and hopefully incorporate some of these ideas into their practice. Andrew: They definitely will. This is FX Medicine, I’m Andrew Whitfield-Cook.